It was our fifth wedding anniversary just before Christmas. 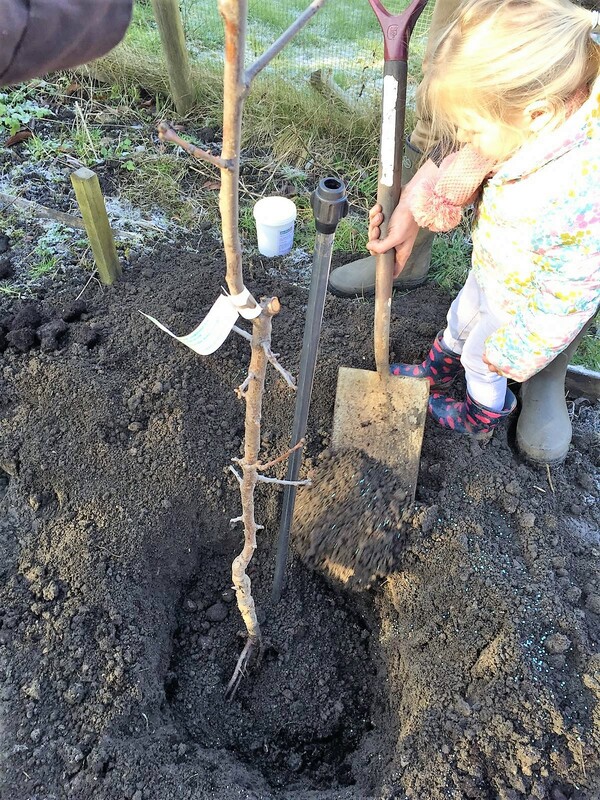 The fifth is ‘wood’ – and we decided to buy each other fruit trees, which we can plant here, and take with us when we move. Hopefully our simple apple and plum trees will be the start of slowly curated orchard collection (we have a quince tree from our wedding to add to it) and we can look forward to late summer days filled with juicy plums and crisp apples. 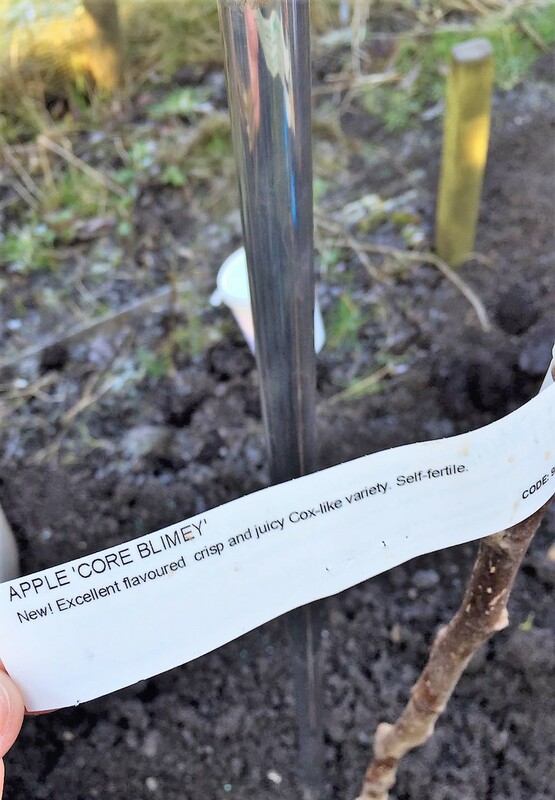 The Core Blimey apple we chose is a new self-fertile variety, with good disease resistance, and was developed by the ‘London Orchard Project’, a charity that promotes orchard and fruit tree growing in the capital. The apple it produces is a bit like a Cox , crisp and juicy with an sweet flavour and it suitable for growing throughout the UK. 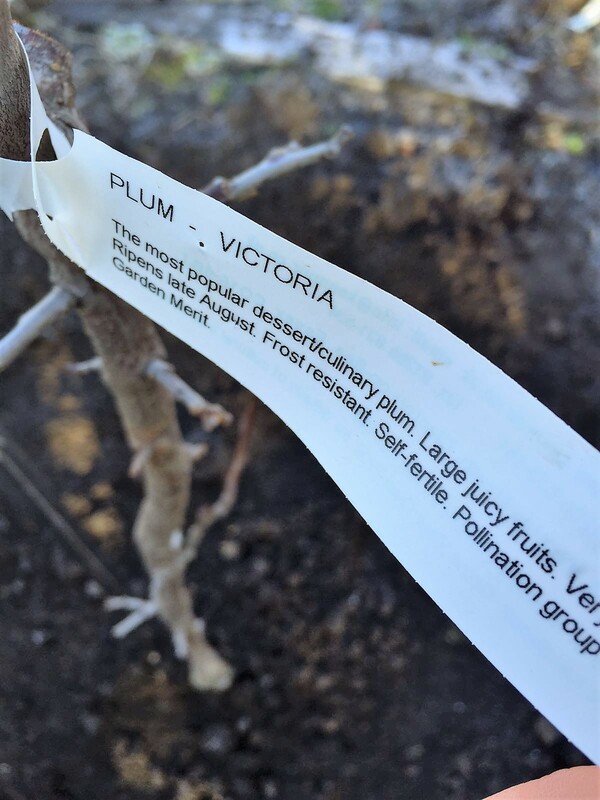 For our plum tree, we went for the classically named Victoria Plum – a popular culinary variety, with large, juicy fruit, and plenty of it. It’s also frost resistant which is handy for these freezing days we’ve been having recently. 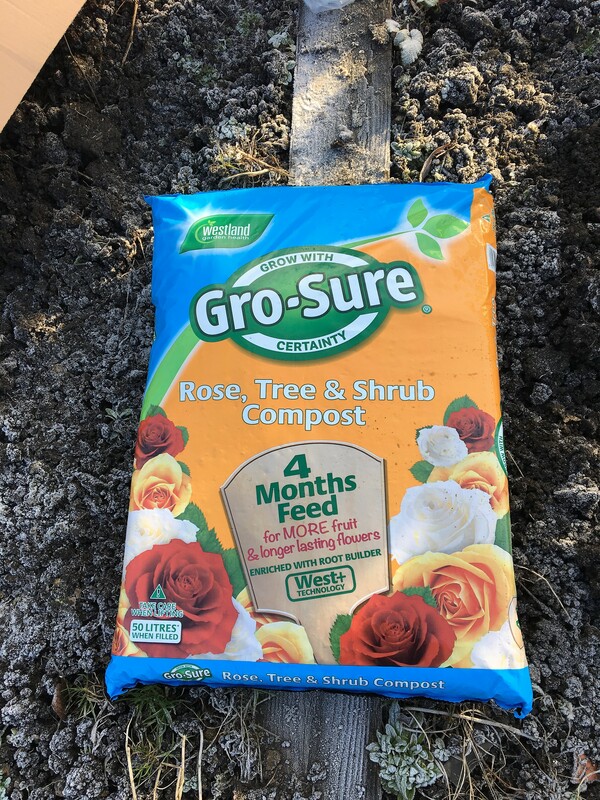 The best time to plant fruit trees is the winter, and you can still them delivered from fruit specialists up till the end of March. 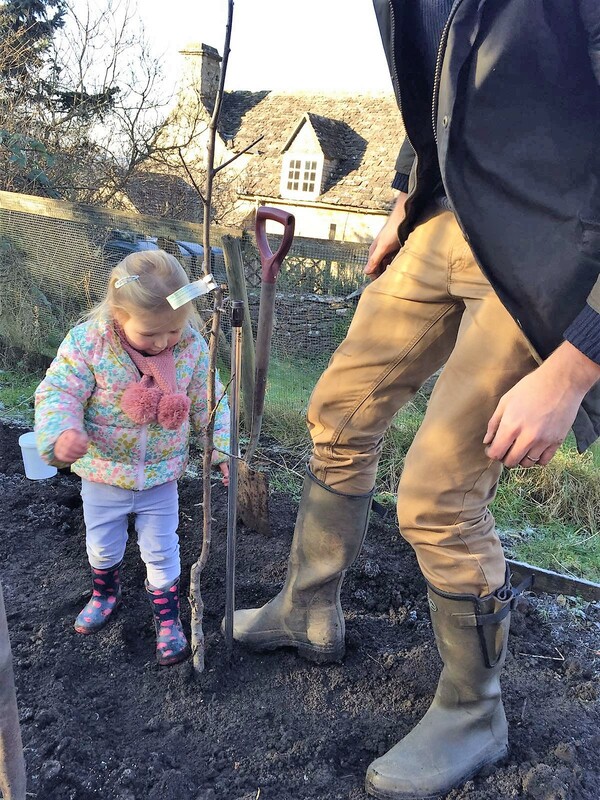 We got ours from Ken Muir, who are really experts in what they do, providing a comprehensive guide to planting and caring for your trees, and they have plenty of choice too – from fig and cherry to almond and damsons. You also need to be aware of the potential size your tree will grow to and, crucially, whether it’s self-fertilising. Self-fertile trees produce fruit without the need for another tree to pollinate it, if it is not self-fertile you will have to pair it with another tree. 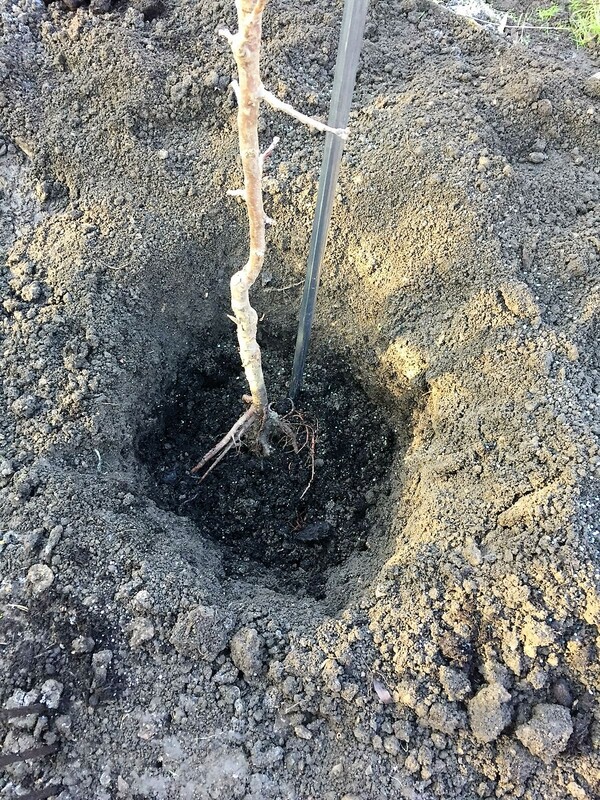 Fruit trees need to be staked for the first few years of their lives and a root-grow product is also recommended. You can usually get these from the fruit tree provider. We planted ours in a sunny, relatively sheltered spot near our vegetable patch, side by side. 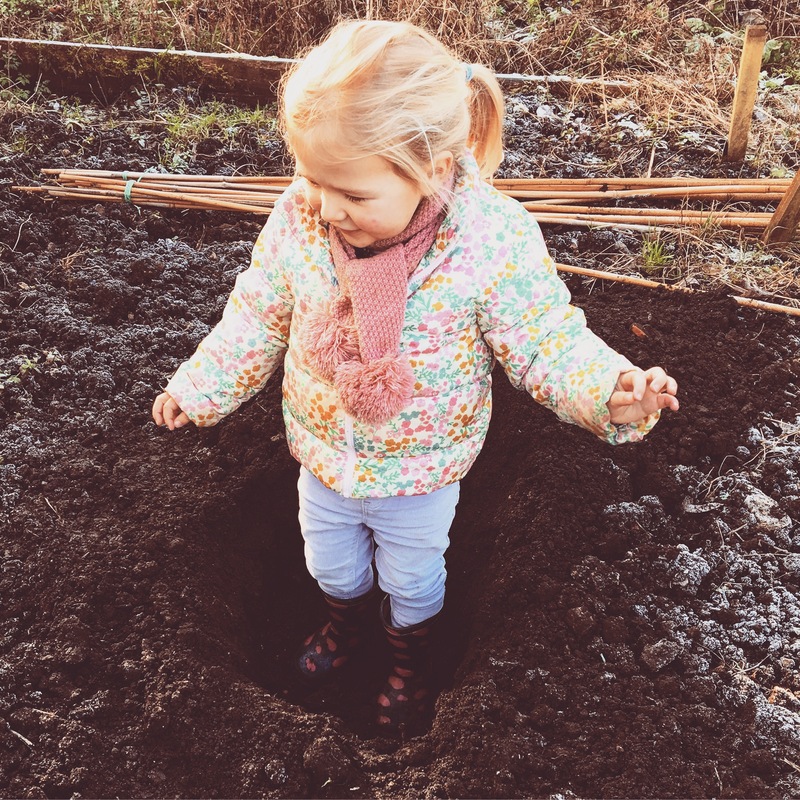 Munchkin helped dig a hole, and then climbed in the holes, before climbing out and promptly undoing all our hard work. 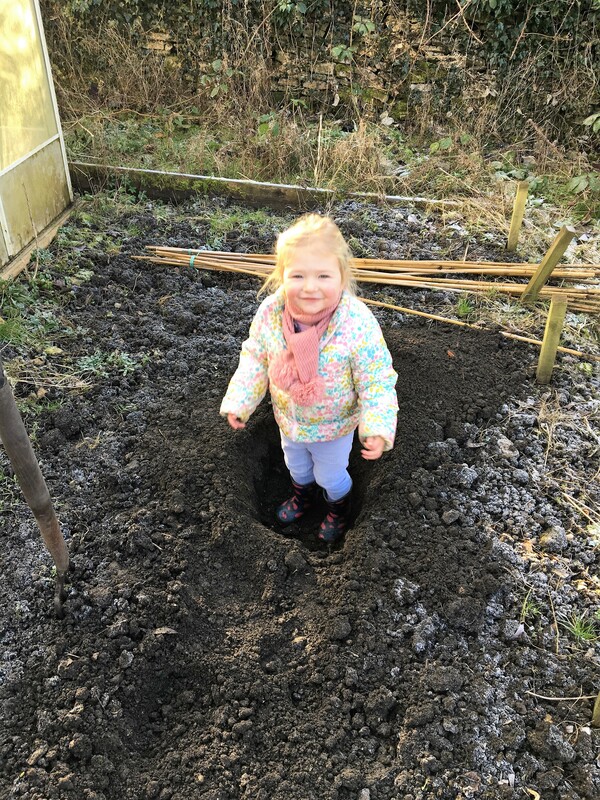 Despite the freezing weather, it was a lovely thing to do together, gently filling in the holes, treading the soil down, and imaging times in the future when we’ll remember planting these together. I’m so pleased we celebrated our wedding anniversary this year with something that will last for years to come.